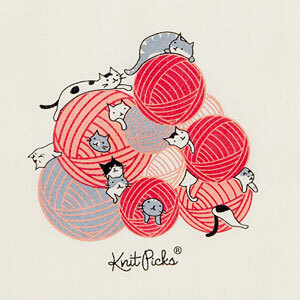 If there's one thing that knitters love almost as much as fiber, it might be cats! (No matter how much you squeeze it yarn doesn't really cuddle or purr.) If you have a hoard of cats to go along with your hoard of yarn, you're sure to enjoy this beautiful bag. 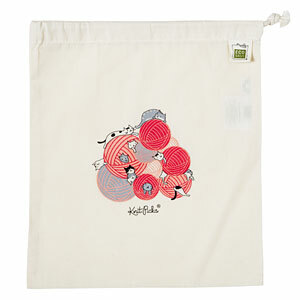 With screen printed Knit Picks exclusive designs, these project bags are made from natural fibers, with draw string closure. Perfectly sized for smaller projects such as socks, shawls, and accessories.